After a long overdue staycation, Random Thoughts is back. Since its been a while since the last games took place, there’s little reason to review last week’s games as that has been done already, for now I’ll stick to some off the on and off the floor items of interest. The Rush are the second to last team to have their home opener (San Diego doesn’t get to see theirs until January 12), but its finally time to raise the championship banner to the roof from last year. This was originally supposed to happen on December 8, but the cancellation of the first two weeks leads to a fluke event. San Diego, wisely in my opinion, have picked up five players from the Rush’s championship roster from last year. Adrian Sorichetti was picked up in the expansion draft. Dan Dawson was picked up in the offseason as a free agent. Tyler Carlson was signed recently as a street free agent after the Rush cut him in camp. Tor Reinholdt and Johnny Pearson were on the practice roster last year and were also signed as free agents. Its going to be quite the event that every piece of the Rush roster from last year that signed elsewhere will be in the building on banner raising night. I think back to the 2017 season. A handful of Rush players had been traded away or signed elsewhere. While none of them were in the building on banner raising night, as they came to Saskatchewan to play, they were handed their championship rings pre-game off the floor. When it came to Zack Greer, the fans asked that his championship ring be handed out on the floor, and the standing ovation he got from the crowd was something special. I hope Rush fans will give the same respect to these five and thank them for their contributions to the team. One more bit of interest in Saturday’s game came tonight (Thursday), as I was writing this that San Diego has activated Garrett Billings to their lineup. Billings last played in 2017, where he played just four games and then hasn’t been back since. However, in 101 career NLL regular season games, he has 403 assists, just a hair under 4 per game, and according to Graeme Perrow, the highest average for any player that has played more than 1 game in NLL history. The question is, after nearly two seasons away from the game, can he return to his old form? We shall find out. There was a fair amount of talk behind Cody Jamieson’s empty net goal on Saturday. Up four, with a little over two minutes to go, Jamieson went up the floor on a fast break, with DiRuscio scrambling to get back into the net, and Chet Koneczny decided to try to play goalie to stop Jamieson’s shot. Rather than lob the shot in, Jamieson rifled it top shelf and Chet didn’t even flinch. While little issue was made of the shot on the floor, it was met with some condemnation off the floor. My opinion, I have zero issue with the shot, for several reasons. First off, there is no reason Chet should be playing goalie in that situation. I’ve seen several players do the same thing, and it’s the wrong thing to do in that situation. He’s far better off to step up to Jamieson, try to pressure him, and hope he makes a mistake. At several levels of lacrosse in the US, including as far as I know the NCAA, its actually illegal for a defender to try to play goalie. If you ask why, its for the player’s own safety. They don’t want the player taking the shot to the chest, where their heart could stop or to the throat. Its outright dangerous. Secondly, Jamieson has one duty in that situation, score a goal. If he lobs it, he actually has a greater chance of screwing up the shot. If he misses the shot, Mike Hasen will be giving him an earful on the bench. So simply shoot the thing. Thirdly by rifling the shot, Chet is not going to do something stupid like sticking a leg or hand out to stop the shot. At best, he’s going to try to knock it down with his stick, and his odds of doing that are slim. But finally, and most importantly, Chet didn’t take exception to the shot on the floor. If it was a problem, there would have been a melee, and possibly a fight. That didn’t happen. So if Chet didn’t have a problem with it, neither should anyone else. I would have hoped that by week 3, B/R Live would have its issues with people trying to watch the broadcasts resolved. But yet they remain. Since going to a Chromecast, my issues have dissipated, other than not being able to watch 3 games at the same time because I could only Chromecast one game and have another on my phone, and the laptop connection to B/R being unreliable. However, other watchers have had issues, even with the app and other equipment. It shouldn’t be necessary for viewers to shell out $40 US for the broadcasts, and then shell out more for the equipment necessary to watch them. But worse, the people that had issues in week 3 had the same issues I had in week 1, and one of those issues is the support staff at B/R itself. They tend to be very unreliable, of little help, and their first reaction seems to be to blame your equipment, your internet service provider, your WIFI, anyone but B/R. By doing this, B/R won’t take the necessary steps to resolve these issues. Too many people are still having these issues for it to be the viewer’s setup. Now the one issue I can help people resolve is the full game replays. The replays will appear for one day readily accessible. However after one day, if you pull up the NLL games, the replay has disappeared from the main screen on the app. Here’s how you rectify this problem if you want to watch a replay after it has disappeared from the main page. Perform a search for either team involved in the game, and when you do this, all of the replays from all past games appear. For those following along on Lacrosse Classified, I went 1-2 in week two, getting both Toronto and San Diego wrong, but an impressive 4-1 in week 3, only getting the Rush wrong. For week 4, three relatively easy picks in my mind and a few that require some thought. Toronto over Philly – fairly straightforward. Toronto played an amazing game last week, Philly is still finding their way, the Rock should win this one easily. Georgia over Philly – Georgia is hot out of the gate. Vancouver faltered badly in Buffalo last week. And the flight from Vancouver to Atlanta won’t be an easy one for the Warriors. There’s simply nothing telling me that the Warriors will win this one. Rochester over Buffalo – the toughest game of the week to call by far. Yes, Buffalo was, and still is, my pick to win the East. Here’s why I’m picking Rochester. Buffalo has been very hot and very cold. We don’t yet know what their lineup will be like, whether Dhane Smith will be back, whether there will be a surprise healthy scratch again. In Rochester I know what I’ll get. I don’t know what I’ll get with the Bandits. Give be the K-Hawks. Saskatchewan over San Diego – The Rush had their defensive problems fixed in the second half against the Black Wolves. They should get the offensive issues dealt with and use the home crowd to get their momentum back. Colorado over Calgary – The Roughnecks might be 2-1, but you have to take into consideration the strength of schedule here. They just went through what should be the easiest part of their schedule the entire year. The Roughnecks still haven’t signed Dickson or Berg and Jesse King’s injury status is also unknown. If the Roughnecks don’t have those three, the Mammoth defense should have their way with Calgary. I’ll take Colorado for that reason. This year has been a bit of a whirlwind for me with Lacrosse Classified, and a major learning experience in my development as an amateur opinion writer on the sport of lacrosse. In our first episode, Jake had mentioned that it was my idea to rejuvenate Lacrosse Classified, and I wanted to share the story of how this all came together. Three months ago, I received a text from my good friend, Jake Elliott. Jake had hinted that him not being retained by Vancouver was a real possibility. Now it was a certainty. But even worse, this two time Borelli winner had virtually no shot at getting another job in the league as a broadcaster because Vancouver had taken so long to make its decision, almost every other team had already filled their broadcasting roster for the season. Jake could have walked away from the NLL altogether, and nobody could have blamed him. You have to put food on the table somehow. But I was determined not to allow that to happen. Some people ask if the NLL media are in a competition with one another in lacrosse. While that could be true in some instances, in most cases it isn’t. To me, lacrosse writing is a hobby. I don’t earn anything doing this, and I’m lucky enough that in my professional career, I earn enough that I don’t really care if I earn a paycheque or not, and if I was to earn a paycheque, it would have to be that I’m not tied to any team. By having that independence, I can be honest with the readers and not worry about the consequences about talking about the truth, good or bad. Many other members of the lacrosse media aren’t so lucky, and they rely on that income, and there’s nothing wrong about that. 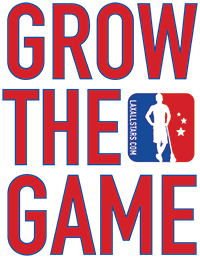 Taking a step back, when Random Thoughts moved to Lax All Stars back in January 2018, LAS was looking to expand its NLL exposure. They had told me that if I wanted to do a podcast, they would facilitate it. Now keep in mind, I have two jobs, one of them running my own business. I work typically 45 to 50 hours per week, have three kids, a common-law wife, and Random Thoughts takes me around 5 to 6 hours every week to put together. Needless to say, having my own podcast wasn’t in the cards. People think that a podcast is simply talking and recording for about an hour. In fact, it takes up a good 5 or 6 hours per week on its own. You have to line up guests, get your notes ready and prepare your questions, do your research on your guests, promote your show, edit, and deal with getting sponsors so the bills get paid. There was no way I had the time to do all of that on my own. But the offer was still there from LAS. When Jake lost his position, I did what any friend would do. You do anything you can to assure your friend that things will be okay, and you help them any way you can to get them back on their feet. The support for Jake was certainly there. If you saw social media after Jake was let go, so many fans wrote saying what a mistake the Warriors had made not retaining him. But to me one other thing was apparent. Since Stealth Classified became Lacrosse Classified after the sale of the Stealth to the Canucks organization, the podcast had become much better. The shackles were off and Jake and Brad Challoner could be much more honest with the listener, and the quality of the program increased tremendously. The concept of bringing back Lacrosse Classified was indeed my idea, but not necessarily with me in it. I was willing to give Jake that podcast slot I had with LAS to him to keep Lax Class going. The podcast couldn’t be on the TSN network any longer, so you needed a platform. LAS was the perfect fit. LAS has 50,000 Facebook followers, 50,000 Twitter followers and 110,000 Instagram followers. Now certainly there is overlap with many fans following them on multiple platforms, but the audience there, plus the audience that was already following Lax Class that didn’t necessarily follow LAS meant there was a captive audience. When Jake asked me to be his co-host, I was very honoured, but a little scared at the same time. Writing is one thing. Its surprisingly my strong suit despite English Literature being my lowest mark in both high school and university. But with writing, you can take your time, check your facts, proofread, and do everything you can to get things right. With a podcast, you have to be on the spot, being able to speak clearly and coherently, and on Lax Class, we don’t have out takes. Plus, asking questions and doing interviews was something very new to me. My experience on the media to that point, a half time interview with John Gurtler on the Bandits radio broadcast and a spot on Global TV being interviewed by Ryan Flaherty every two weeks for a 3 minute spot. The advantage with Global TV, we have outtakes, and we typically run the interview twice to see which version is better. It wasn’t much experience for me, no broadcast training, no voice training. Nothing. It was all very new to me. Luckily Jake is a PXP. He is used to taking the lead and helping guide his colour commentator through the discussion, and it makes my life a lot easier. LISTEN TO THIS WEEK’S LACROSSE CLASSIFIED PODCAST WITH CALLUM CRAWFORD AND BRUCE URBAN HERE. The other thing that makes this all possible is that Jake for the most part lines up the guests, he does the editing, lined up the sponsors. It means the amount of time I have to spend every week is about 75 minutes of taping, about 45 minutes of prep and another hour or so a week doing promotion. It’s a lot of work still, but to help a friend, it was worth every minute. And I was gaining a ton of experience and exposure in the process. Build the largest podcast possible that people would tune into every week. Keep Jake’s name relevant. People become irrelevant in lacrosse quickly if they aren’t a part of the industry all the time. Make everyone realize just how talented Jake is, that when there was an opportunity, he would be at the top of everyone’s list to get back into the broadcasting game. In life, timing is everything, and the timing of the relaunch of Lax Class couldn’t have come at a better time. The other major podcasts weren’t up and running yet, but even better, the labour dispute between the PLPA and the NLL owners was just becoming public, and the lacrosse fans had very little information to go on as to what was happening. The master plan, kick the show off with a bang and see if the PLPA and the owners would come onto the podcast, and draw the audience in right away. However, the PLPA declined, and we knew the owners would be far more difficult to convince to come on as they had not gone public with their side of the story just yet. The back-up plan, get a few other lacrosse analysts and we would piece together what was happening based on what we all knew. Then things changed, and they can always change quickly. The PLPA agreed to talk. The beauty with a podcast is that you can go on as long or short as you want as long as you have the audience captivated. The PLPA stayed on for 45 minutes, going into great detail about their position, and we just kept letting them speak. They didn’t get off easy. They faced a number of tough questions and they gratefully answered them. The following week, we were hoping an owner or the commissioner would talk. But nobody would come on, until once again just a few days ahead of time, Jamie Dawick, the owner of the Toronto Rock agreed to come on. Now Jamie wasn’t as detailed as the PLPA was, but he didn’t need to be. There were some major takes from that interview. The ATR system was a deal breaker for the owners. The season was on life support. But even more importantly, the damage that a lost season would cause the league might be unrepairable, and, there would be a lot of jobs lost off the floor from support staff for each team, and those two things had to be avoided. We interviewed Jamie on a Monday night and knew we had a gem. The interview was released Tuesday afternoon. That day my phone hated me. I had around 400 Twitter notifications, 200 text messages, 150 DM’s and my phone was ringing for 3 hours. Tuesday night, the players made a new offer, the wheels were set in motion and by Thursday, the framework for a new deal was in motion. Did we contribute to getting a deal done, I can’t say for certain whether we did or didn’t, but I won’t take any credit for a deal getting done. But those two podcasts had the highest number of listeners we’ve had to date. We now had the foundation to accomplish goal number 1, build a fantastic podcast. The accolades we have received since have been fantastic and I can’t thank all of the listeners enough for helping us make Lax Class what it is today. Goal number three still wasn’t complete for the podcast. Jake wasn’t broadcasting yet and the season had started. It wasn’t a hopeless situation, things change throughout the season and opportunities might still be present. Because of the podcast, how big it had become and how well it was done, one thing became apparent to Bruce before Christmas. He always wants the Rush to be the organization in the NLL that everyone looks up to as the standard, and that means attracting the best talent when its available, and Jake was indeed available. When Jake texted me that he had an offer from the Rush, it was time to celebrate, and it was a fabulous Christmas present, not only for him, but for me too. A major goal that we had set out had been accomplished. Plus as an added bonus, it means that Jake and I get to be in the same city 10 times or more per year when he travels to Saskatoon. Not to worry though, Lacrosse Classified will continue to be the honest podcast it already is, asking the tough questions when it needs to, and focused on the league as a whole. So far we’ve managed to have at least one representative of each organization except for one (Rochester) on the show, and hope to rectify that in next week’s episode. As a part of Jake’s duties with the Rush, he will be producing a once per month Rush specific podcast, so dealing with the Rush in a significant way will be dealt with on that podcast, but we won’t be ignoring the Rush on Lacrosse Classified either. The outpouring of congratulations for Jake has been impressive, and the support for the Rush in hiring him has been equally impressive. It goes to show what I believed in back in early October, he was too good to allow him to be away from the game. And I’m extremely proud of what he has accomplished in the last few months. Over the next few weeks, I will be undertaking the largest project I had from last year as it is relevant again this year, the expansion draft projection. While one reader asked if its too early for a projection with trades bound to happen and injuries that will occur, its important in my mind for readers out there to understand which players are at risk of being exposed and which players the two new expansion teams in New York and Rochester (keep in mind, the K-Hawks are taking their roster to Halifax, the new Rochester team is the expansion team) might be interested in. This year is further complicated in that both expansion teams are out East, and how many BC based players will be selected, or protected for that matter, will be interesting to decipher. It’s a huge undertaking so I appreciate your patience. The league doesn’t provide a database of player contracts, so you have to do a lot of digging yourself. Luckily this year, Marisa Ingemi also put together a database of contracts, so I’ll have something to compare notes against for accuracy. Keep an eye out for that in the coming weeks. For all the latest in lacrosse analysis, follow me on Twitter @SchemLax and make sure to follow the Lacrosse Classified podcast @LaxClass and my broadcast partner Jake Elliott @pxp4sports. Evan was born and raised in Saskatchewan and has been a fan of the NLL since the 1990's. He was one of the founding fathers of field lacrosse in Bermuda in 2002. He played for the Bermuda national team in the 2006 world championships and served as a national representative on the ILF as well as an assistant coach on the Bermuda U-19 team at the 2008 world championships. A long time Rush fan when the team was in Edmonton, Evan is thrilled to have the Rush in his home city of Saskatoon and helps coach youth lacrosse in the city.